You may be using the most advanced iPhone and capturing some beautiful moments and sharing them with some of your friends, but sometimes photo shoots need to be changed to give better graphical effects to the videos. The precious moments recorded may need to be stitched together to provide consistency or making a collage to mesmerize your audience. You may also like to act as a professional videographer by adding those special effects to the real-time of recording. Photography and video shooting is a passion of many people. Now with some of the most exciting applications for iPhone and iPad one can capture their precious moments with ease. 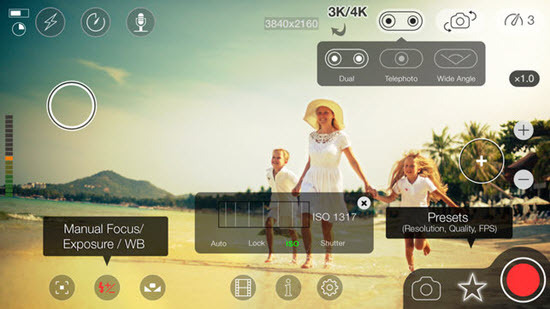 You can enjoy capturing the moments with these apps and cherish them for long time; you also can download thousands of applications on your iPhone and juggle with your recordings. There are thousands of apps yet not all of them will give you satisfaction. Let us discuss the best iOS video apps to explore and enjoy on iPhone or iPad. Tips: If you lost any video on iOS device, you can always try Jihosoft iphone video recovery to get them back. 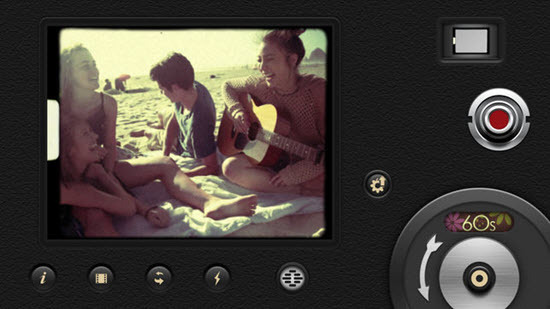 Here we lists the top 9 popular video editing apps to do miracles for your iPhone/iPad videos. 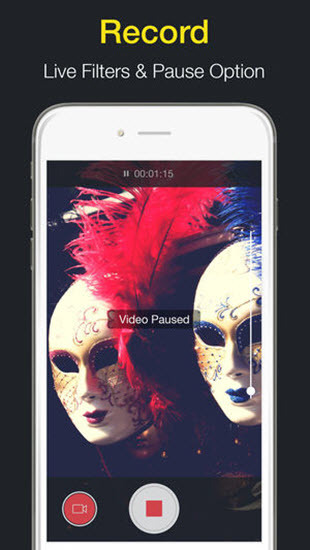 Edit your original videos and make movies comfortably with this app on iPhone. You can add many preloaded sound effects to enhance your watching experience. Motion control allows adjusting the speed, and it can be used based on your creative concept that you want to picturize. The app is helpful in making hilarious movies and is available on payment. If you are thinking to uplift your creativity above ordinary, then iMovie from the house of Apple is the best application to be in the limelight. It is an iOS video app full of rich features though at the beginning it feels little cumbersome to handle and control. But with few uses, you can capture amazing videos and can edit them on the iOS platform with ease. The app is free of charges for using. If you are looking for an editor to cut your videos, then this is the app, you must download in your iPhone. You can add other media like snaps, voice, text or music and retouch your videos using the various features of this iOS video editor. The camera supports the landscape as well as portrait mode enabling you to adjust the angle. The app is free, and one can upgrade to have extra features in it. This full-fledged app is loaded with many features that work wonders to the footage captured by you. It has a multi-functional capturing option giving you a choice of selfie, music, basic funny, collage, video, FX and many more. You will be applauded on the social circuit by uploading the videos captured through this app on iOS devices. With a selfie camera and seven beautiful lenses, one can catch the moments to cherish for long. A video slideshow can be created to give you an opportunity to showcase your creative brains. If you desire then you also have a choice to add music, filters and FX to enhance your video. The app is chargeable, but it is worth paying considering the facilities. It is one of the leading video editing software for iPhone and iPad, through which you can easily pen down the moments with the snaps and the movements captured. 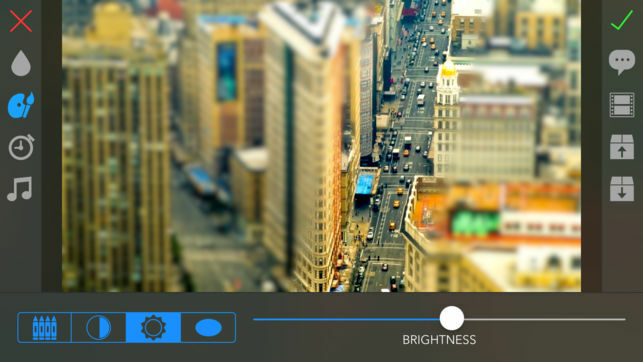 With this video app, one can narrate the videos to build a storyline. If you want some cinematic finish, then go for the filters available in it and create an appreciable canvas. The app is free, and no charges are required to download and use it. If you want to give your videos, some vintage look like the red, yellow and blue, this app is one of the best hassle free software and works in tandem with your iPhone without any bottlenecks. The application is chargeable, but effects of the vintage camera in the app are authentic to capture the moments and make them look down memory lane, making it worth to pay for the app. If you are looking for creating movies using some of the super apps in your iOS mobile, then you cannot ignore to download MoviePro. It is an iPhone video editing app that works beyond your expectations, capturing videos in various resolutions and adjusting the aspect ratio. The anamorphic lens from the house of Moondog with provisions for regulating the quality of the movie is superb to capture the moments. It can capture 60 frames per seconds to 2400 frames per second with zooming options and speed control. If you need to control the audio, you can also do so. The movie bugs are going to love it and use it at the pretext of the smallest incidence. The app is a paid app, and you can download it. It is one of the fantastic apps that take your ideas to a different dimension. 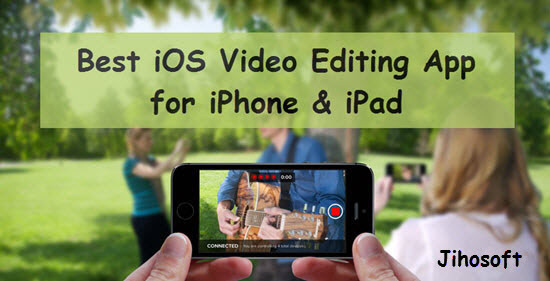 It is a great hit amongst many iOS users and is one of the best video editing apps to find a place in this list. Although one has to shell out a small sum for using it, it is worth paying. It is better to use this application than to repent. You can get many suggestions and tutorials on the internet to use TiltShift, but it is best to think out of the box and go for the subscription to enjoy the benefits. This app hits the bulls’ eye allowing you to edit your recordings like a professional on iPhone. 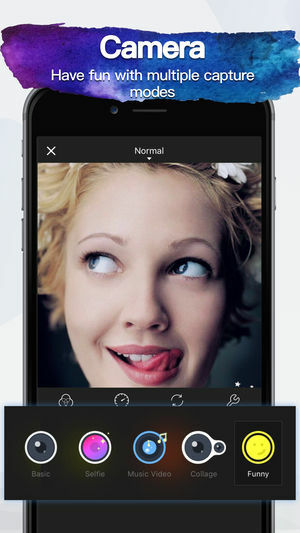 You can use the app’s separate features for the still photos and the videos controlling the white balance, brightness, and exposure. You can even lock them at your desired conditions. Using the live filters available inside the app will allow you to give your videos a new look on the spot. With any of the above video editor apps on your iPhone and iPad, you can give your photos and videos a new lease of life editing wherever necessary. You might be an amateur, but the apps will surely make your captures look like a pro. Give your still photos and videos a completely different look by using any of the above apps and win applauses by sharing them on the social media or keep them to have a look in near future as traveling in a time machine through them. 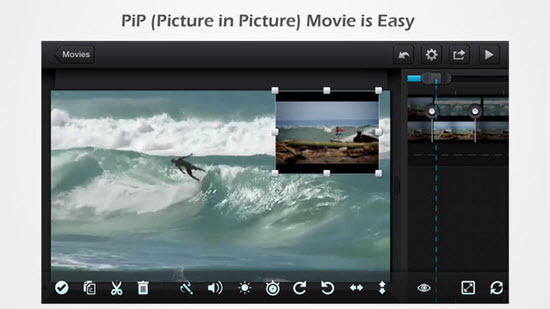 If you have any other suggestion of the best iOS video editor app, welcome to share with us in the comment below.